In March of 2011, ownership of Stonington Insurance Company, Lantana Insurance Limited, and Stonington Lloyds Insurance was transferred to QBE Insurance Group, Limited. All three of these companies are subsidiaries of parent company Renaissance Reinsurance Limited that was recently acquired by QBE. Stonington originated in the Connecticut town of the same name, while Lantana, who is not licensed to sell insurance in the US, has its headquarters in Bermuda. Stonington Lloyds is a relatively new company, organized in 2002. The switch in ownership produced significant positive changes in company ratings. A. M. Best upgraded Stonington’s financial strength rating to A+, superior, as a result. A. M. Best also affirmed their A, excellent, rating of Lantana Insurance, assigning both companies ratings which indicated a stable financial future. All Stonington Company business is now handled under the QBE name. 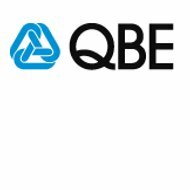 QBE Insurance Group, http://www.qbe.com, is one of the top 25 insurers in the world! They are also very active in the reinsurance industry, providing risk coverage for many of their insurance peers. QBE is based in Sydney, Australia and operates in 49 countries including most of Europe, Asia, and the Americas. US operations were recently expanded by the acquisition of the RenRe Ltd group of companies. In 2011, QBE celebrates its 125th anniversary. QBE has not yet updated its website to include the addition of Stonington Insurance in Texas. As the name implies, QBE Agri markets customized insurance packages designed specifically for farms and other agricultural businesses. QBE delivers these programs through local and regional insurance partnerships. QBE Reinsurance provides risk coverage to ceding companies in the categories of health and accident reinsurance and domestic and international treaty reinsurance. They also offer optional excess property reinsurance coverage. Unigard began in 1895, primarily as a fire insurance carrier. Today, more than 100 years later, Unigard is an important part of the QBE Group, focusing on automobile insurance products, which protect policyholders against financial loss due to accidents and collision. Unigard also features on-line bill pay services. Farmers Union operates primarily in the Midwestern US and Rocky Mountain States. Since 1945, Farmers Union has provided a variety of services to its individual and small business clients. The Farmers Union website, http://farmersunioninsurance.com/, provides easy access to rate quotes, general information, and the locations of its more than 400 agents. Customers with questions may call customer service directly at 888-455-1011. Farmers Union collects profile information for all of its clients, to insure their specific needs are met, affordably and efficiently. Agents use this information to provide informed insurance solutions for their clients regardless of the kind of insurance the client might be looking for. General Casualty also provides auto insurance products among other kinds of insurance.